Toilet Repair, Lakeland, FL | A Step Above Plumbing Inc. Toilet Repair, Lakeland, FL | A Step Above Plumbing Inc.
We only use quality parts for toilet repair and take the time to do the job right in Lakeland. There is nothing quite like the moment of panic that happens when you realize that your toilet isn’t going to flush properly. As you watch the water rise, you may think to yourself, “Oh no! I need toilet repair fast!” At A Step Above Plumbing Inc., we understand that dealing with toilet repair problems isn’t exactly something you want to do, but fortunately, our professionals can provide the solutions you need. From cracked tanks and toilet bowls to clogged drains and water pressure issues, there isn’t much our team at A Step Above Plumbing Inc. hasn’t seen or fixed. When you call us to your home or business in Lakeland, Florida for toilet repair services, you can rest easy knowing that we can handle the job. When we fix toilets, we only use quality parts and take the time to do the job right, so you don’t end up with a similar toilet repair concern a few days later. We always want to make sure you are fully satisfied with our work and that your plumbing is in top shape for the long term. Don’t let toilet repair problems cause frustration and stress. 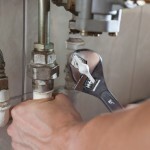 Just give us a call at A Step Above Plumbing Inc. for the services and solutions you need! We have been providing high-quality residential and commercial plumbing solutions for over a decade, and you can rely on us for all your home and business plumbing needs. Contact us today to find out more about our services or to schedule your toilet repair appointment.